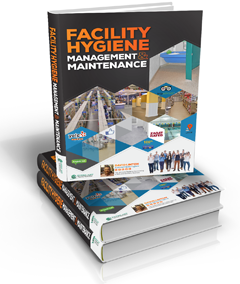 There are only two ways of cleaning a restroom in your business: properly or inadequately—cleaning for show or cleaning for health. Here are 10 methods that will help you keep your restroom looking great throughout the day. #1: Do not over-disinfect. Focus on the locations in the restroom that people touch with their hands most often. Do not disinfect the floors as it can make them sticky to walk on. If you have a solid floor that is seamless to clean, like the ones supplied by Everlast Epoxy Systems, a frequent soapy wash-down is all that you need. You can find these floors at everlastexpoxy.com. #2: Do disinfect prime locations like doorknobs, handles, the sides of doors, basins, toilet paper dispensers, the walls around the toilet area, soap levers, and towel dispensers. If your buying public touches it, it needs to be disinfected. #3: Do not remove the disinfectant right away; instead, wait for 10–15 minutes for the chemical to work. Do not sacrifice productivity for health by using the “wipe on, wipe off” method, because it will not remove all bacteria. #4: Always select the right products for use. Many companies still use oil-based disinfectant and bleach when enzyme-based disinfectant and cleaning machines are more effective. #5: Make hand washing a primary concern by encouraging your patrons to do so. It helps keep your restroom germ-free and shows that you care about customer health. #6: Begin cleaning your restroom by dusting vents, partitions, and lights, and sweep the floor with a good broom. Empty all trash containers. Then refill all of your soap dispensers as well as your towel and toilet tissue dispensers. 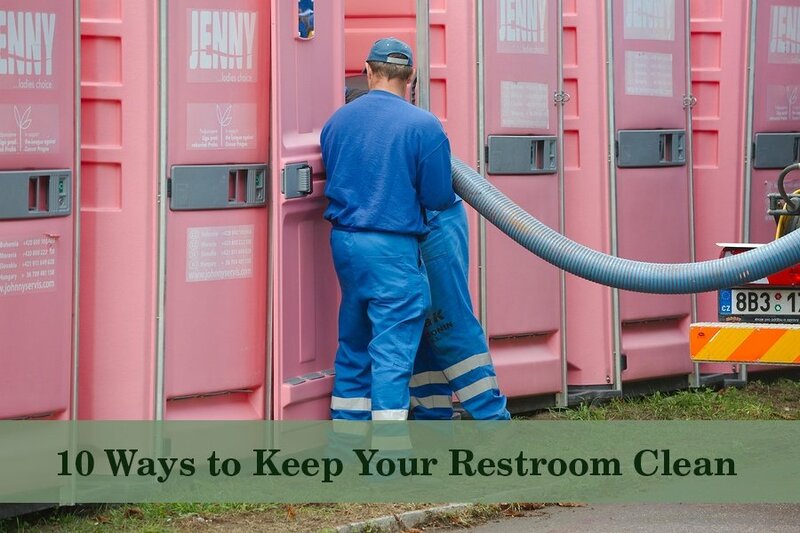 #7: Then pre-treat all of your toilet bowls and urinal areas with an appropriate disinfectant. Also disinfect all surfaces where hand contact is probable. Wait for the disinfectant to work (around 10 minutes) then wash it off. #8: While you are waiting for the disinfectant to kick in, use a microfiber cloth to scrub your sinks, mirrors, and tiled wall areas. Rinse these surfaces with fresh, clean water. Return to your urinals and toilet bowls and swab. Flush rinse them well. #9: Using an all-purpose cleaner, wipe down faucets, walls, and other surfaces that are not generally touched as much. Prepare your floor cleaning solution, and, finally, wash your floors well. #10: If baths and showers are present, set aside time to disinfect, de-mold, and scrub them with the appropriate cleaners. Wear protective equipment, and do not forget to treat hand rails, seats, and baby changing tables too.